Here is one more recipe that is very very summery and am trying to post it before the season and the availability of this vegetable is over. Am back from Kolkata. With all your good wishes those pending, niggling works are finally done. Which obviously made us happy but the unbearable heat and humidity in Bengal dint let us enjoy this trip. The baby suffered due to the change in climate and the first week was over wiping his nose. The Hubby decided to stay in the air-conditioned room as mush as possible with his Laptop. As a result of all these I was not even able to do a little Puja shopping that I planned. I thought of at least go to the shop where Kamini bought those awesome Gicha silk sarees but could not make any time for that even. Came back on Sunday to a dusty smelly house and that night itself suffered severe stomachache due to indigestion. Right now am very weak and trying to recover with medicines and very light diet. But that doesn’t mean that I cannot share something rich and spicy dish with you. 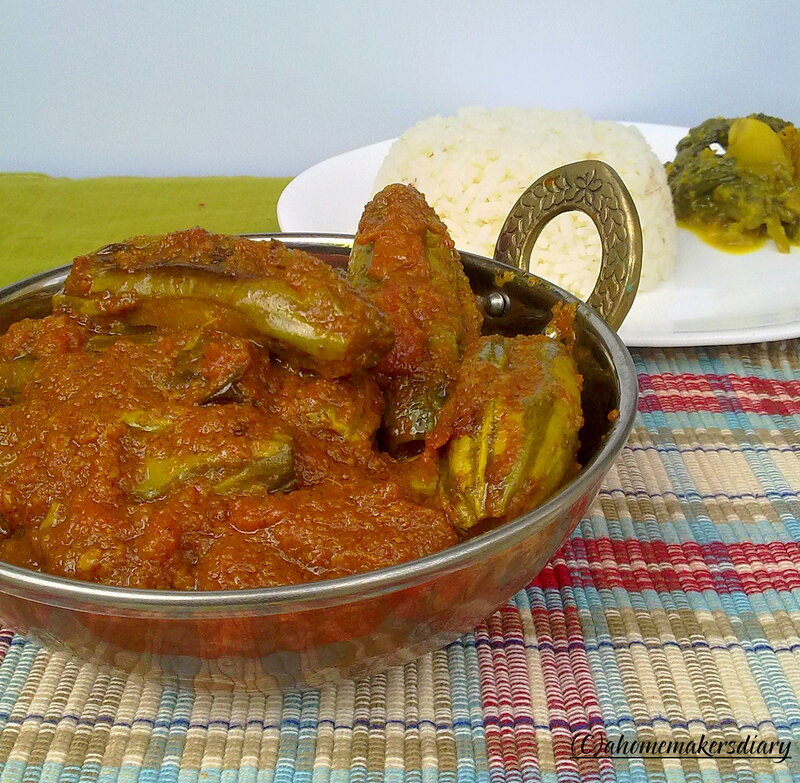 This Parwal dish is something that will resurrect your taste buds in no time. Whole juicy fried parwals in a very aromatic and spicy gravy, when eaten with Bengali yellow pulao will surely make you crave more. This recipe calls for good quality Parwal and by good quality I mean long, thin and firm variety. I believe people who detest this vegetable will love to eat this dish as it is full with flavours and spices…tastes amazingly good with long grain steamed Basmati rice or plain Bengali sweet pulao. Though I never had tasted this recipe outside our home but am not sure about its origin. Its pretty rich compared to the other recipes that I share. It’s a staple in our house whenever guests come over during summer and am yet to meet anyone who didn’t like it. First prepare the pointed gourds. Lightly peel the green skin lengthwise at 4 places. Trim the edges. Now cut the gourds widthwise at two places in such a way that the edges are joined (i.e. Poke the knife between the gourds cut lengthwise but not through the edges). Wash and drain excess water. Smear with salt and turmeric. 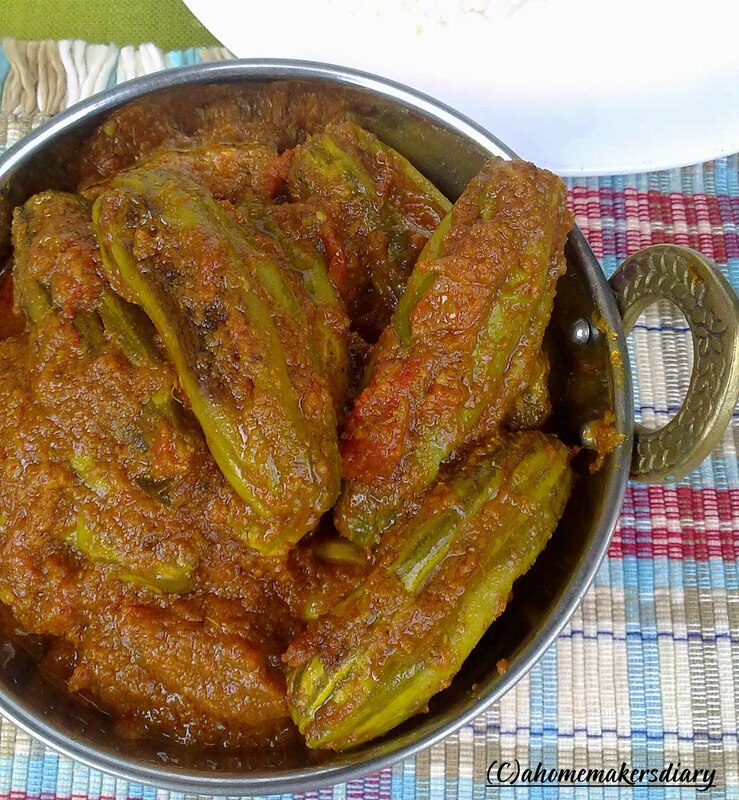 Heat the oil and fry the pointed gourds till light brown on all sides. Drain the excess oil on an absorbing paper. Set side. Now add the whole cardamom, clove, cinnamon, pepper and bay leaf in the same oil. Once they splutter add the onion paste. Fry on low till the raw smell is gone. Mix in the ginger-garlic paste and again fry on low till oil separates at the sides. Tip in the chopped tomato; add salt, turmeric and chili powder. Mix and cover. Once the tomato is soft and mushy add the tomato puree. Cook on medium till you see oil coming out at the sides. Carefully transfer the fried pointed gourds and mix to coat everything together. Check seasoning(add sugar and salt as per taste) and add ½ cup warm water. Cover and let it simmer on low heat. Once you see the gravy coats the veggies. Sprinkle the garam masala powder and serve hot with any rice dish of your choice. I loveee patol and am drooling over this shahi patol. Yummm!!!!! 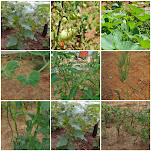 I love parval n a similar recipe is a staple summer dish at my mom's place too ( not using the tomato puree n sugar n the parval is cut differently )..we call that masale wala parval....... 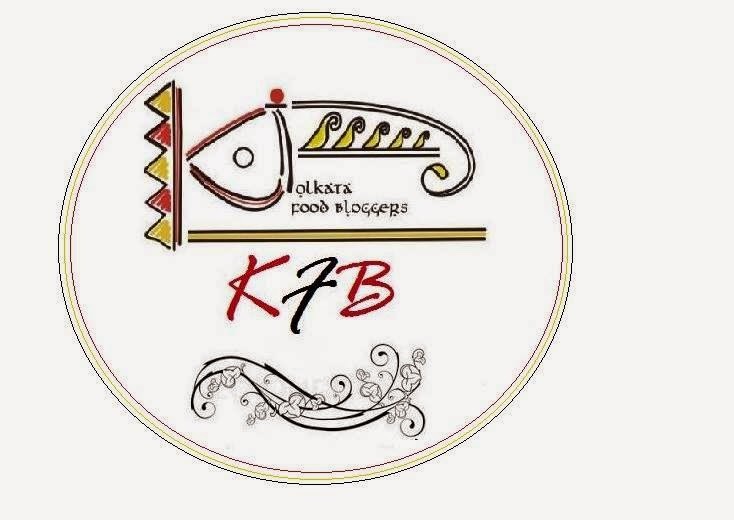 I have tasted the bengali potoler dalna n that's a fave. This one looks great !! this is my all time fav veggie. I can eat any dish prepare from it.yours look lovely. 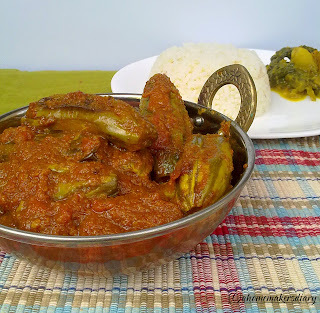 Potol Curry Phataphati hoyeche. Loved the look of the curry.Eta dekhe aamar banate khub eccha korche. Very nice recipe. I have got some deshi patol today. WIll try it in a day or two. One more veggie that I have to experiment with! The gravy looks delicious! wishing you a quick recovery, dear! Sayantani, lobhoniyo hoyeche tomar shahi potol. Kokhono eto spicy korini, ekbar try korbo. Looks very rich and think Saya, will try this as subzi for rotis..
spicy gourd curry! worth trying! I'm confused about this veggie..you curry looks wonderful though..
That's a delicious veggie dish! ekhane potol paina. we haven't had it for MANY years. cannot believe I am writing this. what a delicacy! porer bochor deshe giye shob summer er khabar khaabo. thank u sayantani for visiting my blog ..your comments r highly appreciated..luved your space too ..happy to follow u..pls do keep coming and btw luved the shahi patol ! Lovely spicy treat! Love the veggie. Great click and you have done it so well, looks so yummy with the right spices combination...take care dear.. 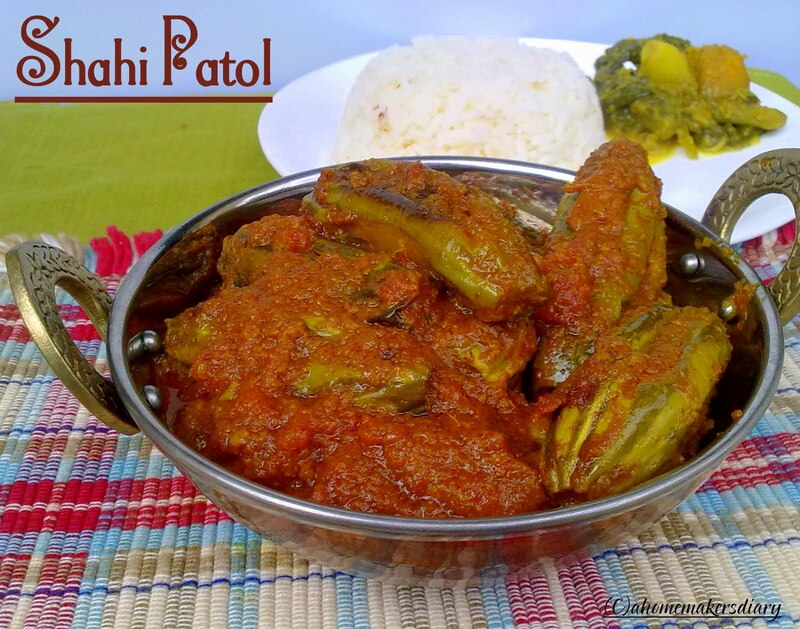 I love patol very much and I am drooling seeing your delicious recipe. Unfortunately I cannot have patol as it is not available in Perth. Feel like having shahi patol now itself. Looks mouth watering. Looks nice Sayantani. Hope you and the baby are doing well by now. Today I made the Patol Shahi...It was very tasty ...thanks. I am bit concerned over your health problem...I am sure you are consulting doc...and following doc advise 100%. There is nothing called indigestion or Pet garam etc...please follow doc advise and you will be OK.
let me see when I come to Blore ..before that need to go to Bolpur. Patol in gravy looks very delicious dear. useful tips on selecting them , while buying. ahh..I was just gonna ask you what is Patol, and I saw your tags..Parwar...ok..I made them today..but I liked yours..will soon try your version..
Prefect recipe for a veg I like. 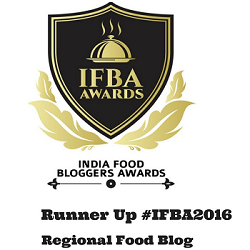 Hi Sayantani... hope you are feeling better now... saw your comment on my site... whipped topping is actually a low fat non-dairy substitute for whipped cream. They normally have it in the frozen foods section of grocery stores. I use it as it helps makes the ice-cream light. If you cannot find it you can use whipped cream as a substitute as mentioned in the notes in my post. Thanks everyone for your continuing support. @thanks Aipi for the clarification. Hi Sayanti!! I am actually trying your recipe based on the picture... It looks so good!!! I am not sure when to add the sugar you've accidentally forgot to mention it... Thank you!! !